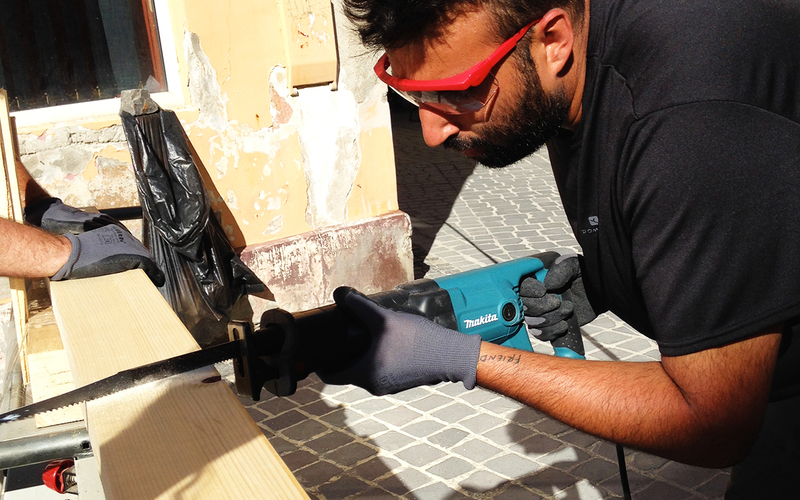 Camposaz is an intensive design and build workshop constructing architectural objects designed to enhance the landscape. It is open globally to young architects and designers with the objective of uniting the process of design and the practical realisation of work in an international group, emphasising the possibilities between different disciplines and past project experiences different person can bring. 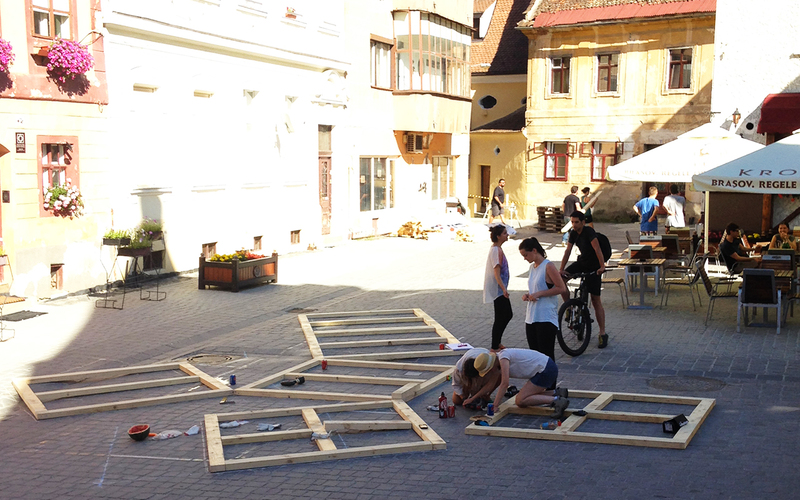 The design of the Bohemian playground originates from the formal and spatial interpretation of the Bohemian Festival; imagined as a big cube that, by opening, shows to the city a multiplicity of activities and invites to take part of them. The six opened faces of the cube generates different inclinations and give movement to a flat square without urban facilities and invite the visitors to have a rest. 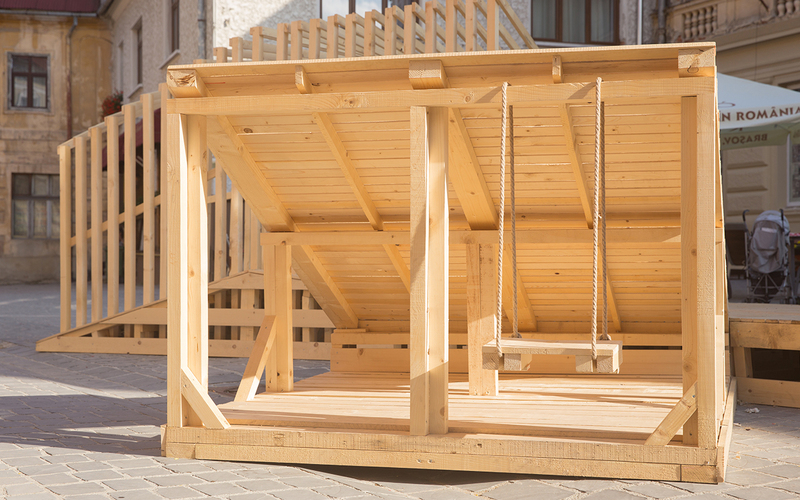 The structure in its unity is a playground where the children can run, climb, lulling, rolling and at the same time the platform can be used as gallery for expositions, a stage for small concerts, sits that invite a better living of the surrounding space. 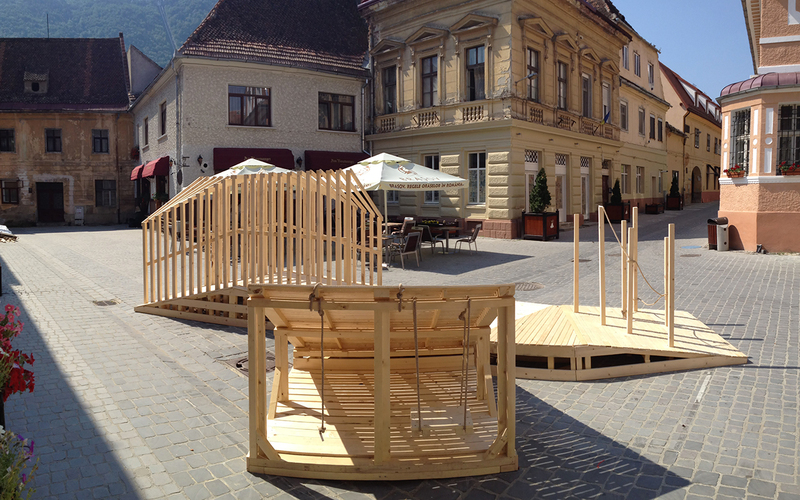 The system frame the urban space of the square and creates a new intimate place. The simplicity of the chosen forms, the still reflection on the proportions, together with the homogeneity of the material and the technical solutions show the potentiality of this system to be lived each moment of the day. Tessa Bloembergen, Ignacio Gias, Denisa Petrus, Dan Palasan, Boca Stefania, Andreea-Elena Pamint , Ana Gurduza. Luca Brombo, Caterina Boscolo, Mariella Gentile. Luca D’Anna, Iulia Alexandra, Bogdan Barbu, Magda Lulu, Alina Floroi. Congratulation guys! 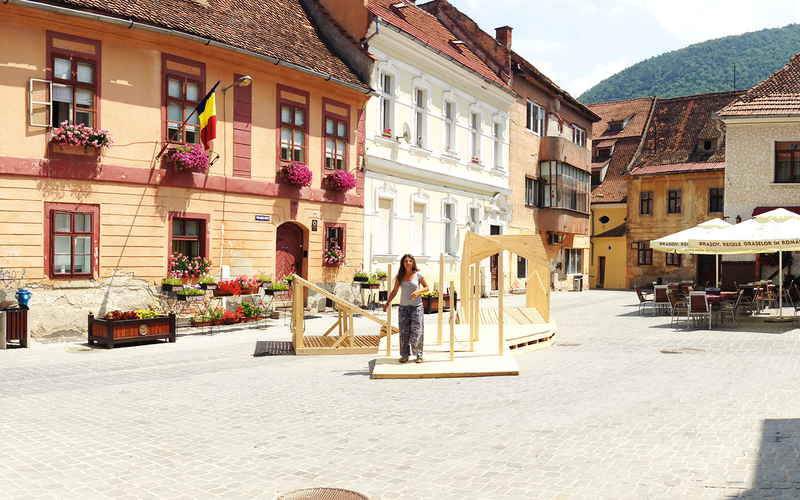 You did a really great job, the two sites in Brasov look wonderfull! Thank you for your hard work and positive vibes brought to our city! 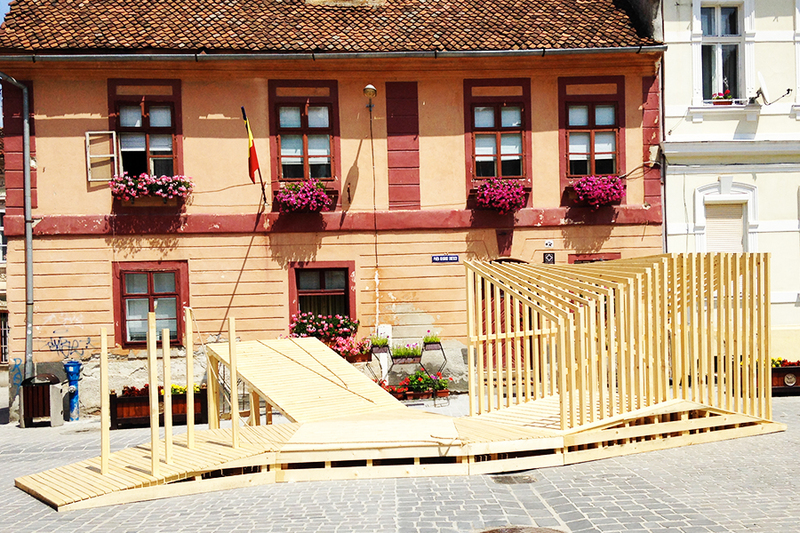 We just can’t wait to animate Piata Enescu for the Bohemian Square Festival and interact with your funky construction!